This talk explores the affective dimensions of personal recordkeeping, and specifically, the relationships between grief and recordkeeping. I will suggest that recordkeeping can function as a type of grief work and that records and archives can provide a way for the living to continue a relationship with their dead. Drawing on concepts of grief work from bereavement studies and cultural anthropology, I will considers ways that recordkeeping allows the bereaved to maintain relationships with the deceased in two different contexts: first, in the non-traditional archives that form around online grief communities and second, in the decidedly traditional context of a well-known writer’s archive. I will suggest how an awareness of the roles of records and recordkeeping in grief work requires archivists to rethink their engagement with record creators, donors and users, and – potentially – to reimagine how we describe records and make them available. Along the way, the talk tells a research story: one about both the inherent difficulties and the transformative possibilities of doing what Denise Turner (2015) has called the kind of research no one wants to talk about. 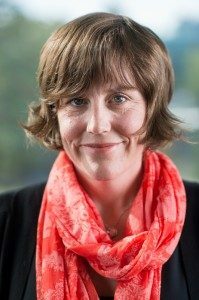 Jennifer Douglas is an Assistant Professor at the University of British Colombia and currently the General Editor of Archivaria. She earned her PhD from the University of Toronto, writing her dissertation on foundational archival concepts (provenance, the fonds, original order) and their application to personal archives.